Jicama + Meat = A Healthy Party Food! | Keep It Up, David! 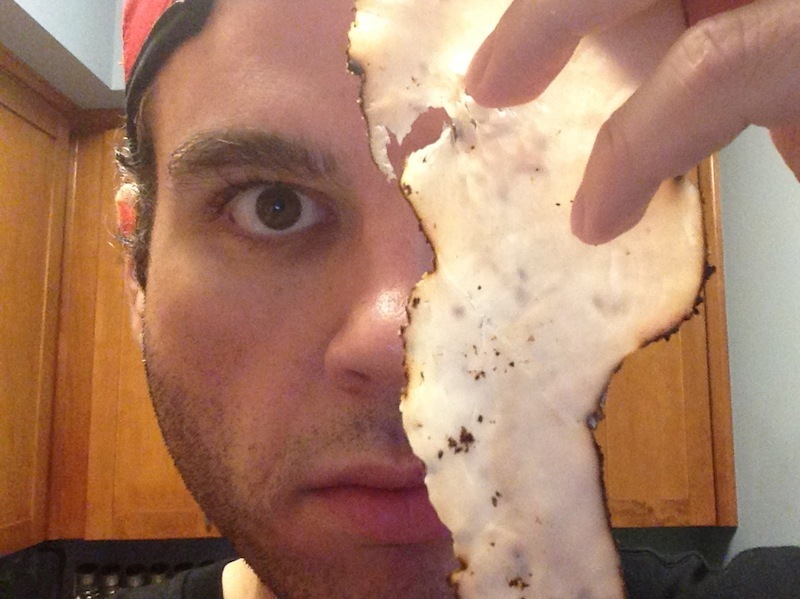 I didn’t buy the meat just for experimentation purposes, though. 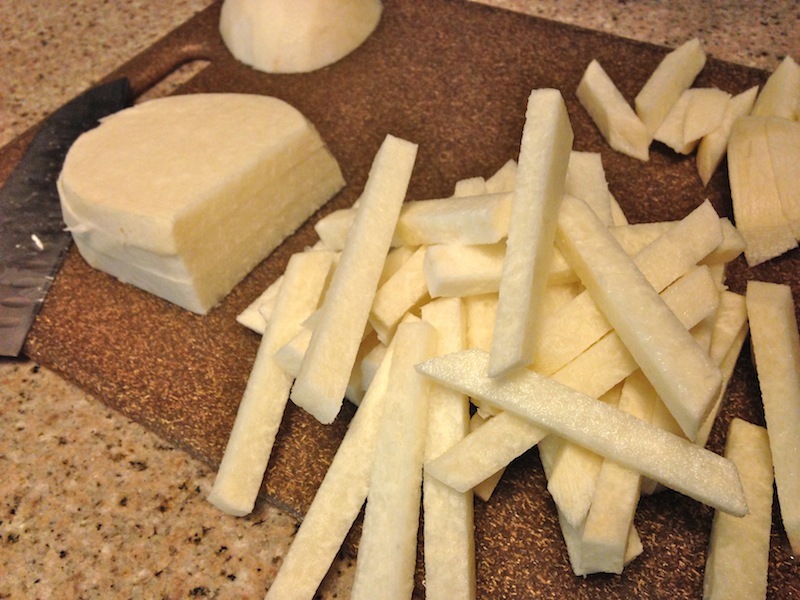 I had another agenda, which involved… jicama! Jicama (pronounced “hick-em-ma”) is a root vegetable that’s popular in Mexico. I’ve eaten it many times, but I don’t think I’ve ever bought a whole one before. They have a thin skin that’s a little tough to peel, but I got through it, thanks to a good peeler and my bulging muscles. 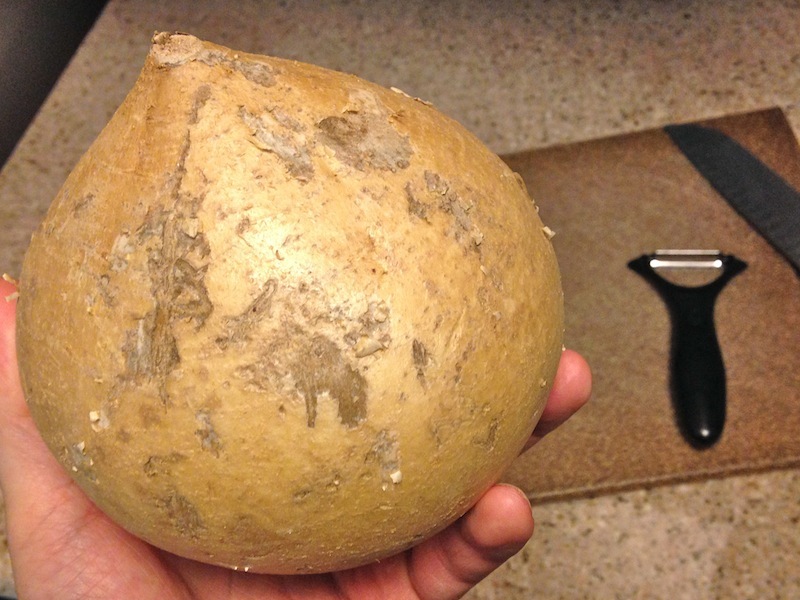 The inside of a jicama is white, and it’s very firm. I very easily chopped the whole thing into planks. 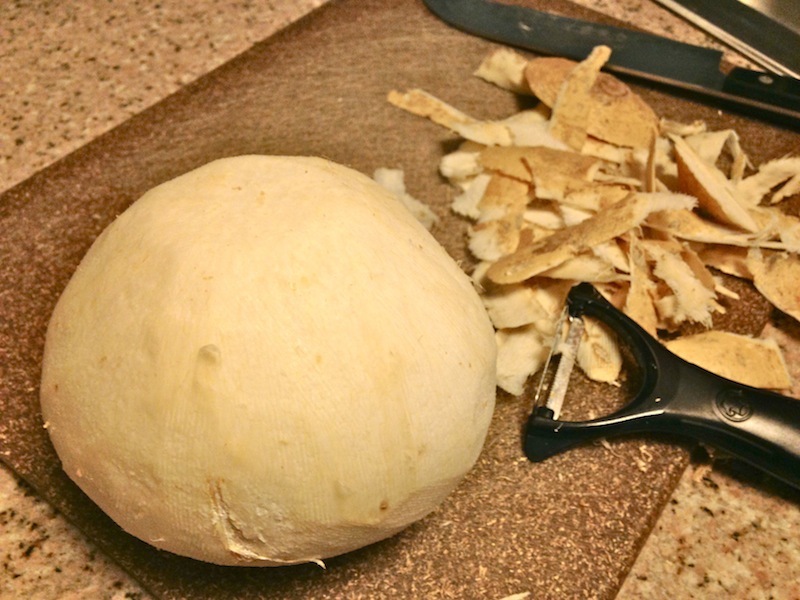 You can cook jicama, but it’s also raw. 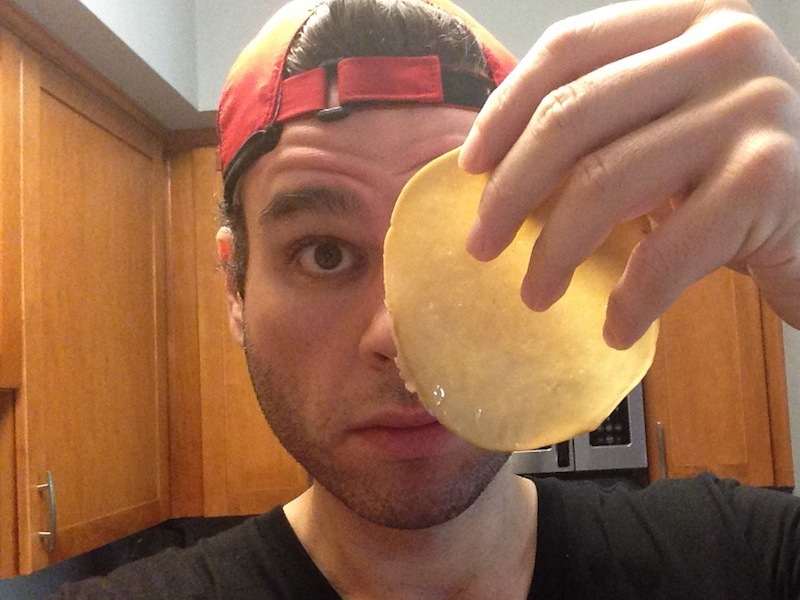 I really like jicama, and you might too, although it’s… strange. It’s light and airy, and very crisp, and is absolutely completely devoid of any flavor whatsoever. I’ve read descriptions where people compare it to raw potatoes or bland apples or pears, but I always think of it having the texture of a watermelon (juicy, crunchy) and the taste of a water chestnut (i.e. none). RELATED CONTENT: Yesterday’s Post, About a Killer Ladder Workout, Got Published Late. Click Here to Catch Up! Jicama is also fat-free and is low in calories. One cup has 50 calories. It’s a great source of vitamin C and fiber. That’s 1/2 a slice of Tofurky brand Peppered Turkey Deli Slices, which, by the way, also isn’t see-through – even though it is the most translucent. The jicama and meat rollers are a fine snack, and easy to make. Add in the meat and it’s still healthy. 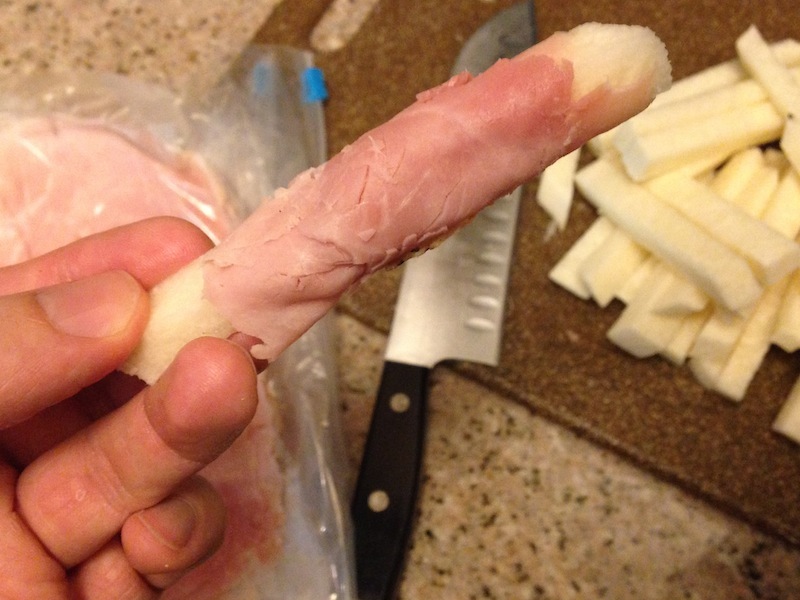 For deli turkey and ham, you’re looking at around 30 calories per ounce, plus a couple grams of fat. 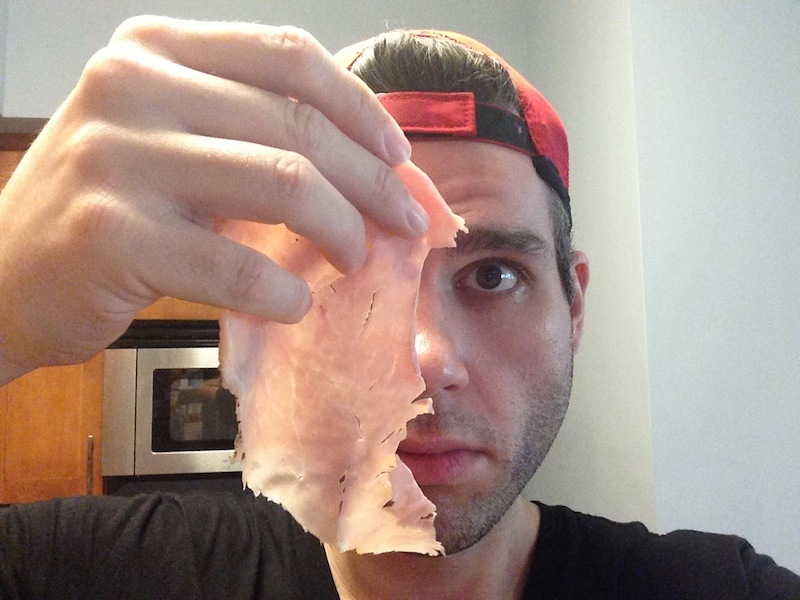 Deli meat does tend to have a ton of sodium, though, so don’t go berserk. RELATED CONTENT: Over 70 Healthy Recipes on my Recipe Page! I decided to roll up lots of these guys to bring to a party my friend Jen was throwing. 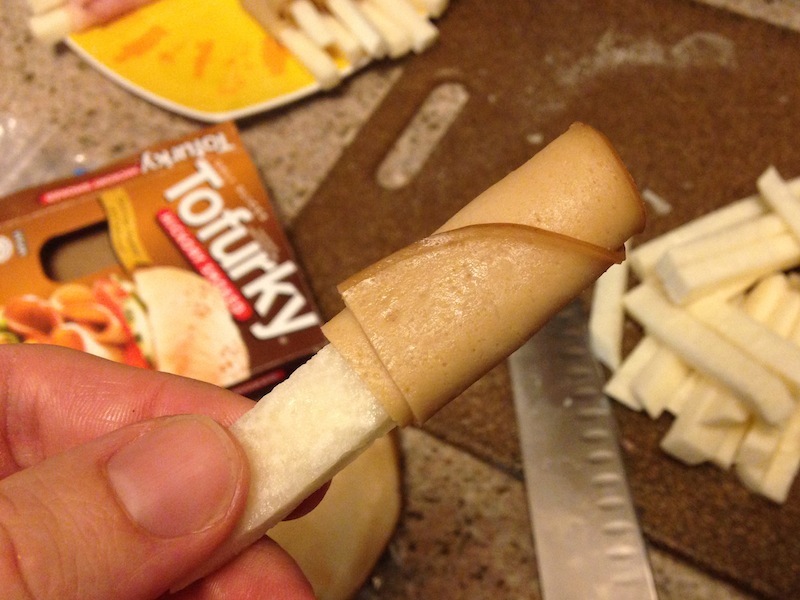 That’s why I got the Tofurky – so there was a vegetarian option. 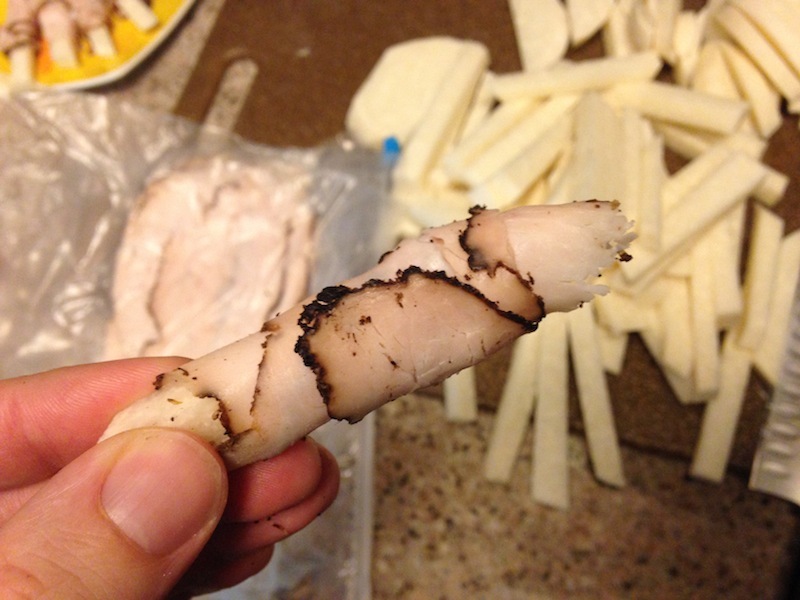 I also included a bunch of plain jicama sticks, too. The platter ended up looking pretty snazzy, if I do say so myself! There was only one thing missing: A dip for the center bowl! I had something simple and fantastic in mind… and to find out what I made, check out my next post on Friday. CLIFFHANGER! This entry was posted on Thursday, February 19th, 2015 at 1:29 am and is filed under Uncategorized. You can follow any responses to this entry through the RSS 2.0 feed. You can leave a response, or trackback from your own site. 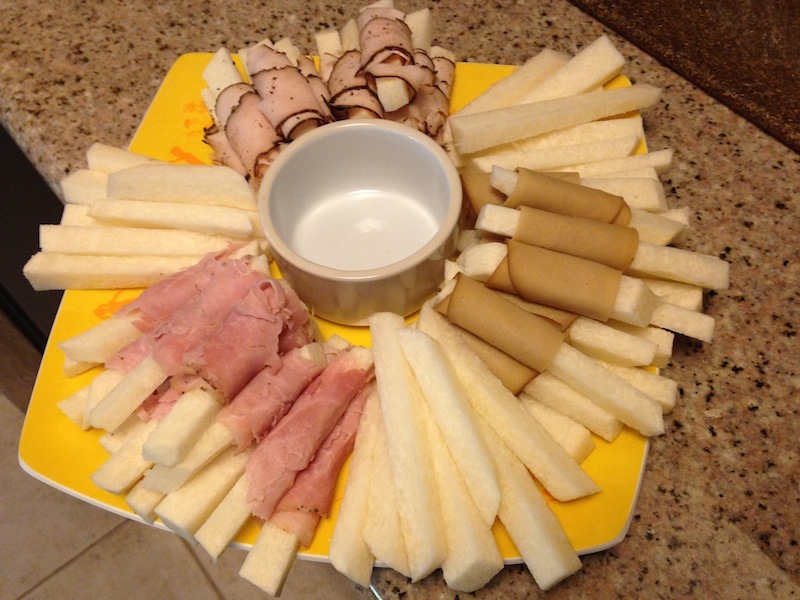 3 Responses to Jicama + Meat = A Healthy Party Food! Good idea with the jicama! Thanks! Sometimes the simple ideas are the best ones!